I needed a piece of bronze and had something that was just the job. So I spent an hour or so making the parts and then went to the hearth to do the silver soldering. Using scrap isn't always the most cost effective option. I now need to remake the job. Certainly not your ordinary bit of bronze. 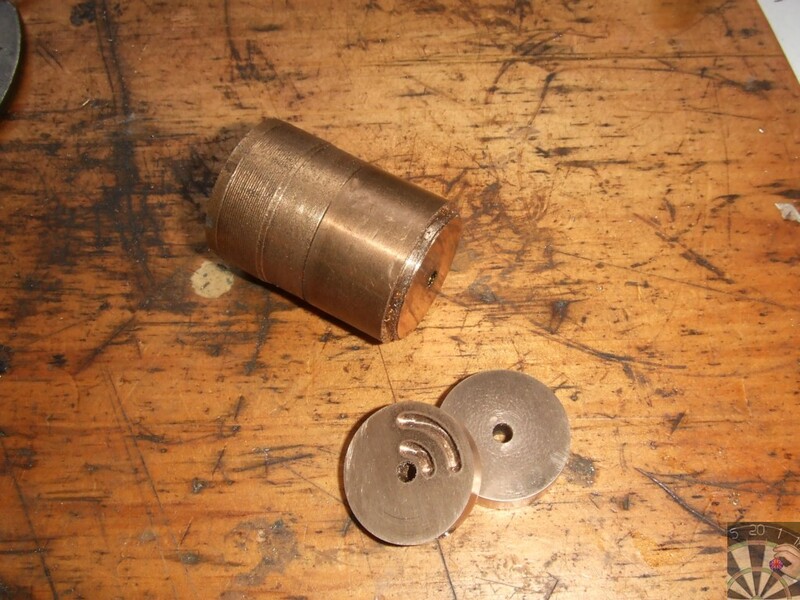 But it could be ally bronze to check it out try a strong magnet on it if its ally bronze it will be slightly magnetic. You have to add 50% salt to the flux to solder ally bronze never tried it though. I would have to agree with you on it being oil impregnated bronze, else it wouldn't have stayed lit with the torch removed. Good stuff on its own, but obviously not good for silver soldering. Looks like sintered brass Pete, probably a bushing out of an appliance. It is full of oil. Sintered Brass is porous Pete and made to absorb oil. Looking at the texture of the finish it does look like sintered bronze. Well worth putting in a labeled bag for when you need it. Bad Behavior has blocked 15611 access attempts in the last 7 days.